Soma By Nature has been a standby for Korean food in the Financial District with sushi and a few other Japanese offerings pushed to the side. 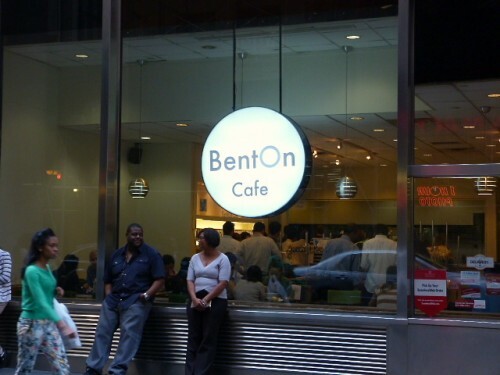 On Friday I noticed they have changed the name to BentOn Cafe (of which there is a location in Midtown), although the sign promoting the $6 Korean lunch specials remained outside. What has changed is a rack of grab and go bento boxes and Japanese sweets prominently featured near the Korean food station. Posted by Andrea H at 11:30 am, September 23rd, 2013 under BentOn Cafe, Financial District, Japanese, Soma By Nature, Sweets.